Suitable for the disabled: - Please read the full Access Statement on the property owner's web site. Contact Karen at 2 bedroom Holiday Barn with Wet Room on 01348 831781 (mobile: 07786266248) or complete the enquiry form. An ideal two en-suite bedroom Pembrokeshire barn conversion which may be ideal for two couples and for those less mobile guests. One of a group of five beautifully furnished holiday cottages, the Barn features open-plan living, a kitchen and dining area with a table that seats four and a seating corner, close to a wood burner, where guests can relax in comfortable surroundings when not out and about exploring Pembrokeshire country and coast. The ground floor features limestone flagged flooring with the addition of colourful short hair rugs. The ground floor double bedroom has its own en-suite wet room. Upstairs, there is wooden flooring and good use has been made of wood in the cottage, in the staircase leading up to the galleried landing, in the oak beams and doorframes. Another double bedroom is upstairs, again with its own bathroom. • A 50in wide ramp leads to the wider than average 36.5in front door which has level access. However, please bear in mind that this pretty holiday barn is six steps down from the car park. The path is lit by patio lights after dark and has handrails on either side. It is possible to drop people off at the front of the barn where a gravel path and then a paved path leads to the accommodation. A full access statement can be downloaded from our own website. A patio with garden furniture is behind the barn and each of the adjoining cottages. This is a pleasant place to sit and lunch or bbq depending on the weather. 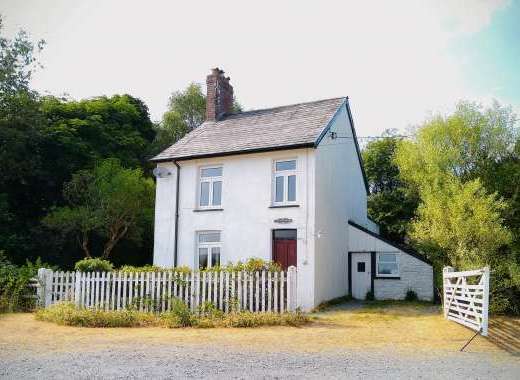 Book this cottage in Pembrokeshire direct with the owner or agency. For help with any questions or queries prior to booking we recommend you call the owner or email them. Surrounding the holiday cottages are extensive grounds with lawns, a pond, fields and woodlands. 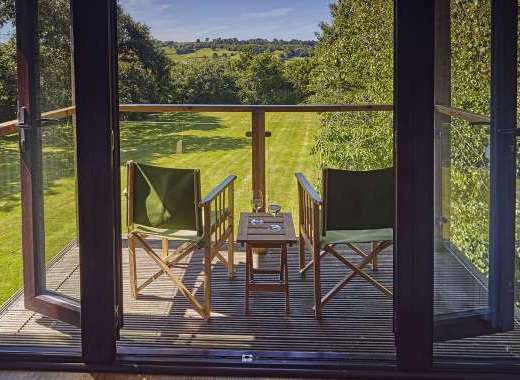 Set in a group of holiday cottages, all converted to luxury holiday accommodation from former farm buildings set in over twenty acres of Pembrokeshire farmland. The countryside is wildlife rich. If you're lucky, you may spot otters fishing in Brandy Brook, badgers, foxes and numerous species of birds. Recommended Places to Visit: A visit to Britain's smallest city of St. David's is a must when in this part of Wales; it is one of the ancient pilgrim routes for early Christianity. Solva is also popular. Recommended Places to Eat Out: Visit Solva and its collection of inns and eateries. Local Sports: Explore Pembrokeshire, the national park, coastal path, the lovely beaches. This is a wonderful location for birdwatching or wildlife photography. Go mountain biking or sea fishing. 06 Apr 19 26 Apr 19 £780.00 flexible Please Contact Owner/Agency for more info. 27 Apr 19 24 May 19 £560.00 flexible " "
25 May 19 31 May 19 £780.00 flexible " "
01 Jun 19 28 Jun 19 £600.00 flexible " "
29 Jun 19 19 Jul 19 £660.00 Saturday " "
20 Jul 19 30 Aug 19 £950.00 Saturday " "
31 Aug 19 13 Sep 19 £660.00 flexible " "
14 Sep 19 18 Oct 19 £560.00 flexible " "
19 Oct 19 01 Nov 19 £660.00 flexible " "
02 Nov 19 20 Dec 19 £470.00 flexible " "
21 Dec 19 02 Jan 20 £920.00 flexible " "